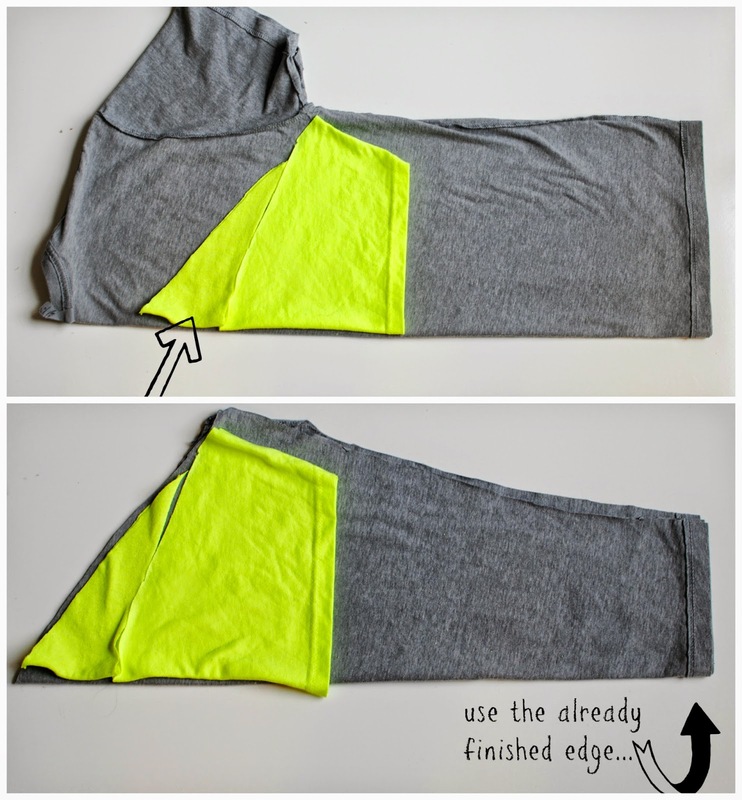 This is a perfect way to transform those too big, unflattering tshirts into a raglan sweatshirt. 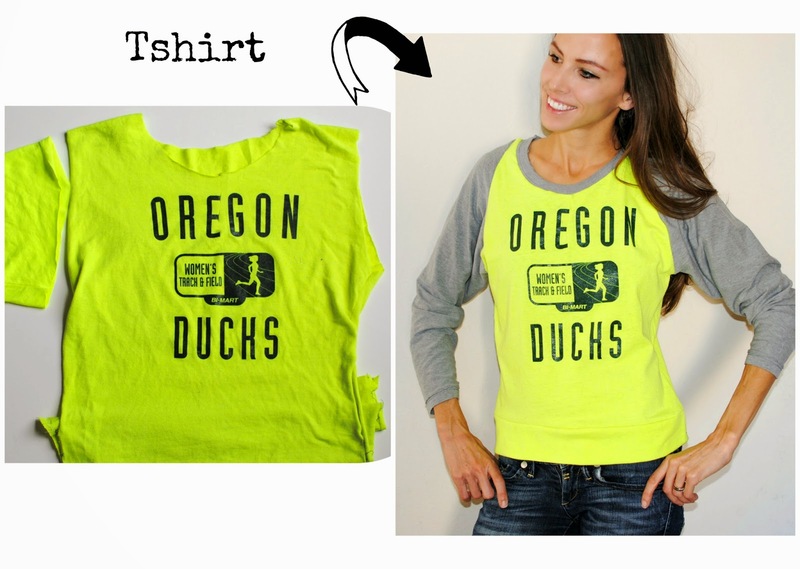 We all have those t-shirts, you like the front but can do without the bulk. I came up with this way to transform them into a trendy raglan sweatshirt. 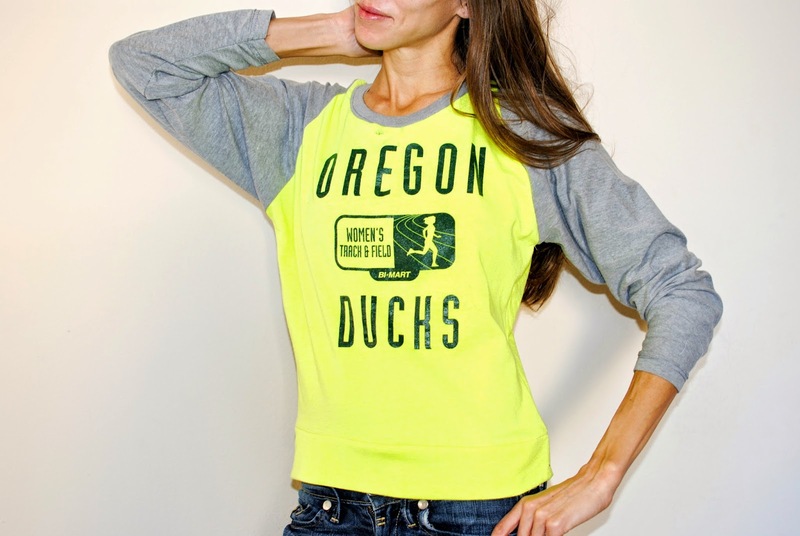 Looks great for game day shirts and gives you a little extra warmth for the fall days. 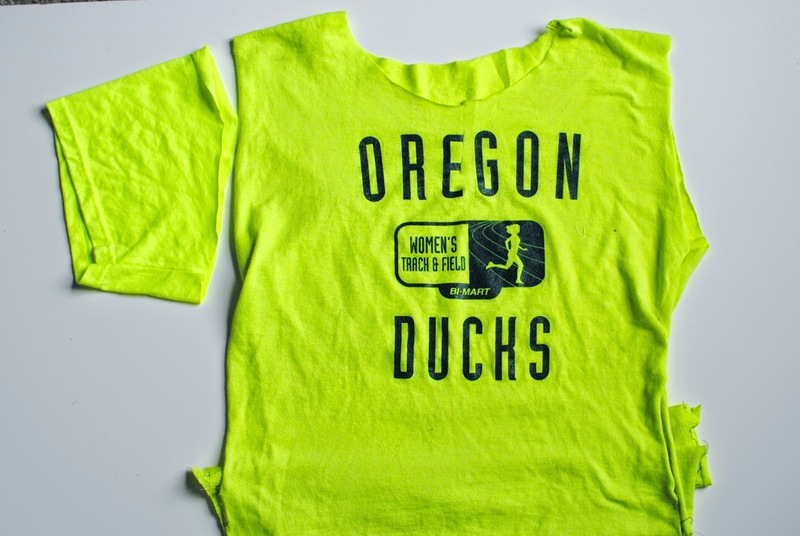 This is also great for kids when winter comes around since they'll probably have outgrown the tshirt once it's warm anyways. Supplies: 2 tshirts or 1 tshirt and extra fabric. Remove sleeves and collar (optional)…If the shirt is really wide you can take it in a bit. Cut as such. Leave atleast 1 1/2 inches for the shoulder seam or it will be too thin for the collar. Save the remnant for the next pattern piece below. For the sleeves fold the extra tshirt in half or use additional fabric. I used a large tshirt… place the pattern sleeves as such…and cut down to the finished edge. You will have to figure out how long you want your sleeves. I chose to keep my wider at the arms because I wanted it to be a dolman fit. 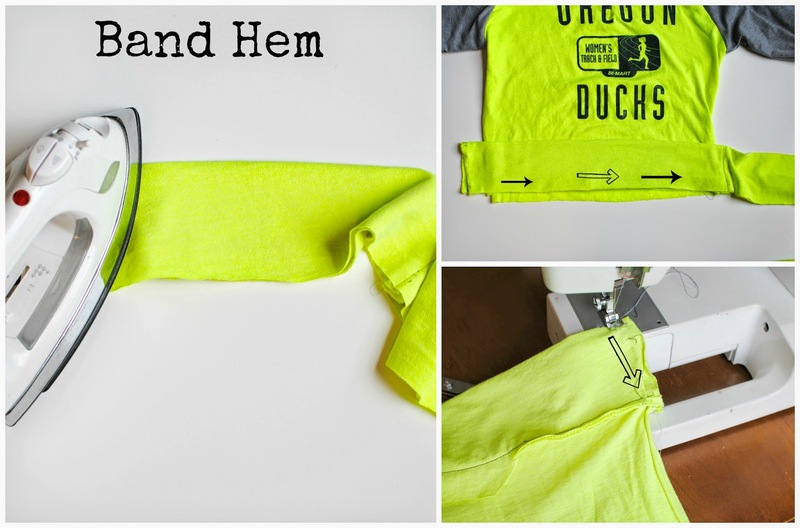 Tip: Use the same color for the sleeves to create a dolman sweatshirt. Attach sleeves to arm hole right sides together and sew. You can start sewing from the middle and go down one side then down the other. Flip wrong sides out (yes I used the shirt inside out) and sew the arm seam. Sew right sides together around the collar, and then press flat. My shirt was really long so for the band I used the excess from the bottom of the shirt. Mine measured 6.5 inches in width. 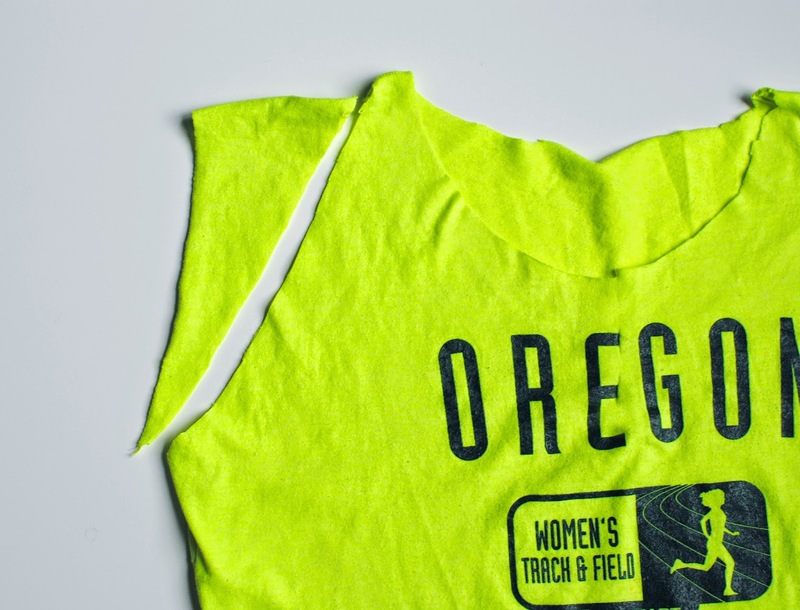 If the shirt isn't long enough to do this then use another shirt or opt out. Fold the band and press. Place right sides together along the bottom hem and sew (where the arrows are). Then sew up the band side seam. Thank you so much sharing this informative blog. Visit Ogen Infosystem for the best Website Designing & Development Services. Your blog is really awesome, thank you so much for sharing with us this valuable information. Visit Y&H Cargo India for Shipping and Freight Forwarding Services. Nice Blog, if you are interested to invest in mutual fund and do not found any best guidance. Mutual Fund Wala is best investment advisors of Mutual Fund.